Contributing to the community is a way of life for Ernie Medina. 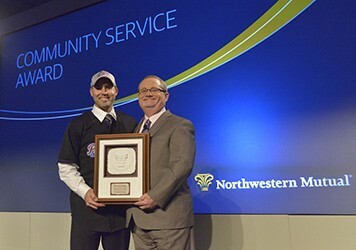 In honor of the work he does with Websites for Heroes, Medina has been awarded the 2014 Community Service Award by the Northwestern Mutual Foundation. The award is presented annually to 16 Northwestern Mutual financial professionals who demonstrate exemplary service with a local nonprofit. As part of the award, Websites for Heroes will receive a $10,000 grant from the Foundation in Carr’s honor. Ernie supports charity and is heavily involved in the local community. Particularly, Ernie has supported and participated in "Chop for Charity," a local charity event that is dedicated to raising funds for the Children's Hospital of Orange County and the Juvenile Diabetes Foundation. 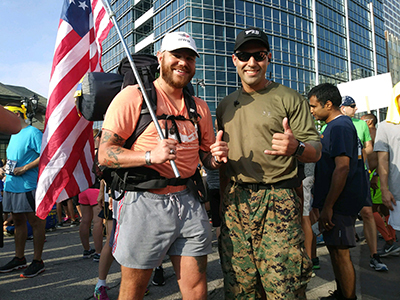 In addition, he serves on the US Naval Academy Alumni Board for Los Angeles and Orange County, one the largest and most active chapters among the Alumni Foundation. In 2012, Ernie was nominated and elected to serve on the Ladera Ranch Maintenance Corporation (LARMAC) Board for his community.